During our Thanksgiving camping stay at Island Resort Campground, we visited the town of Berlin, MD. 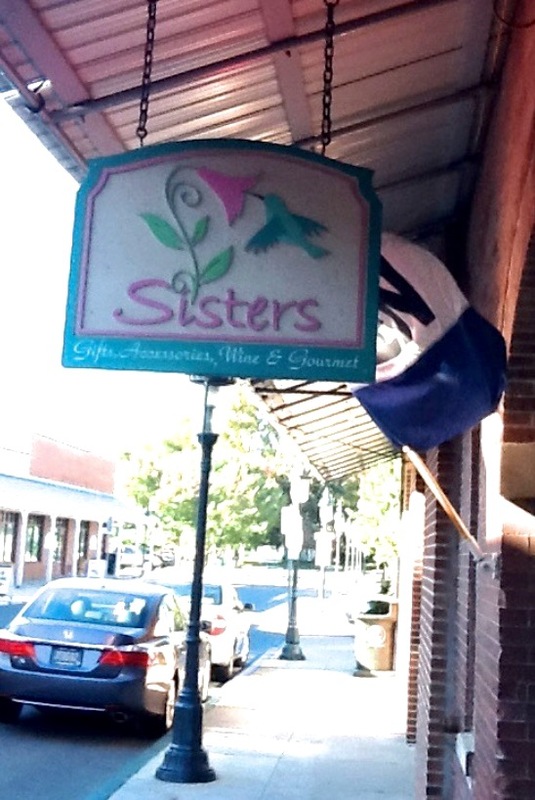 While leaving The Maryland Wine Bar, and heading back to our car, we stumbled across Sisters. 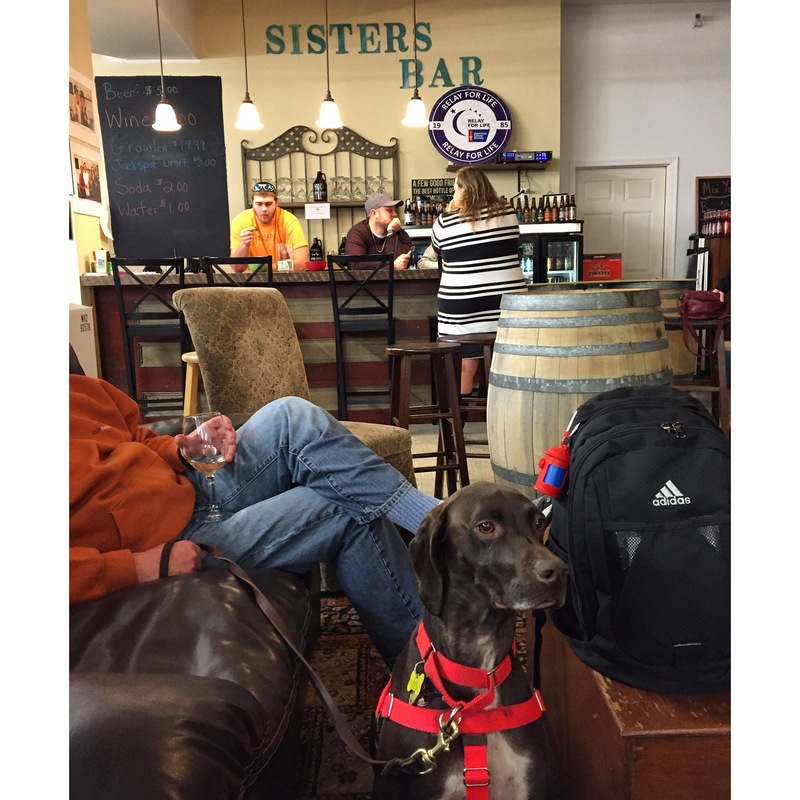 We did not find Sisters listed on DogFriendly.com or BringFido.com (two of our biggest resources for dog friendly places), but we decided it couldn’t hurt to ask. Brian went inside while I held Cello and Hooch outside. He came out giving me the “thumbs-up,” so in we went! This was THE coolest place! 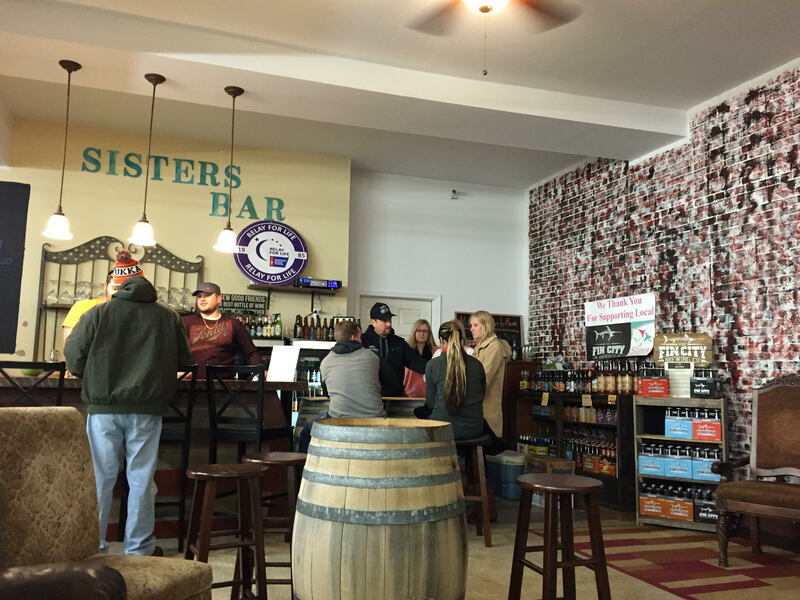 It was a gift shop, and a wine bar all in one! 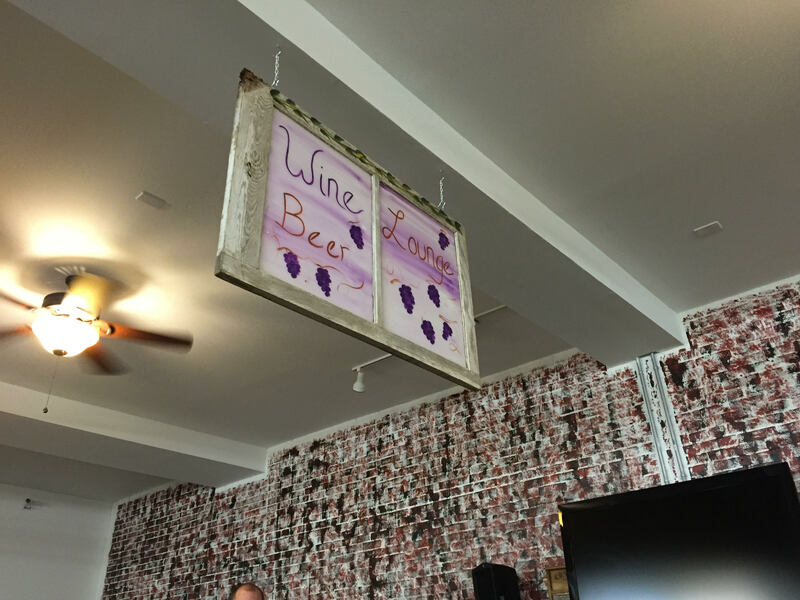 They had comfy couches where we enjoyed a glass of wine. We very much enjoyed our time at Sisters! 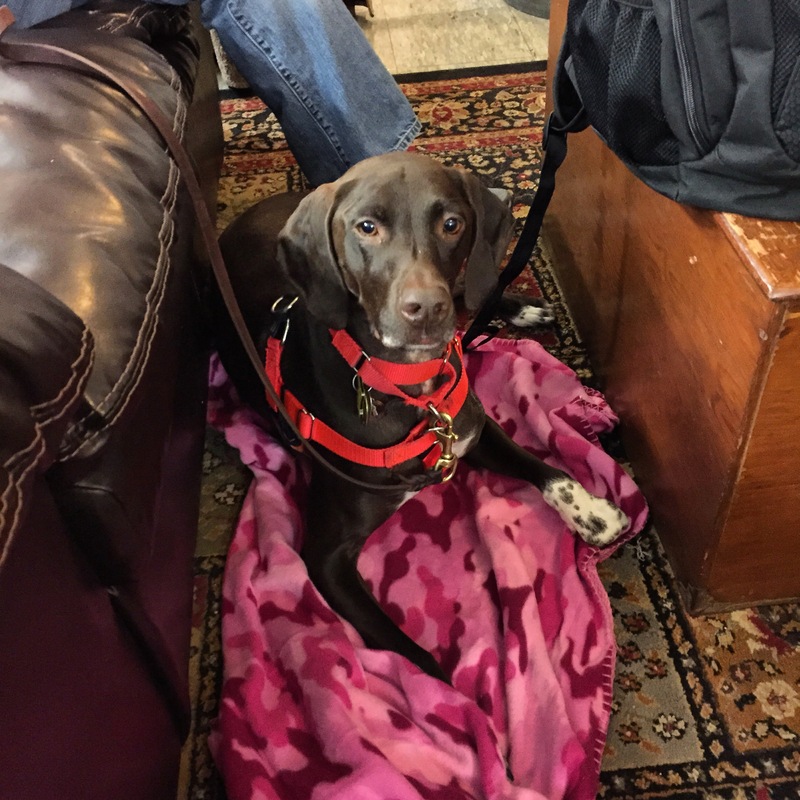 This entry was posted in Cello Has Been There, Hooch Has Done That, MD Wineries and tagged berlin, dog friendly, dog friendly wineries in maryland, dog friendly wineries in MD, German Shorthaired Pointer, gift shop, gsp, maryland, sisters, wine bar. Bookmark the permalink.